Lyndon Prairie Nature Preserve lies within a narrow corridor along an abandoned railroad southwest of Rock Falls. 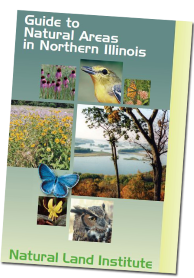 More than 80 native plants, including butterfly weed, shooting stars, Indian grass, asters, milkweeds and pale purple coneflowers are found in this 36-acre nature preserve. Lyndon Prairie is one of the finest and rarest black soil prairies left in Illinois. The Natural Land Institute purchased the railroad right-of-way in 1990. The Whiteside Natural Area Guardians provide stewardship. Sign Up For Our Enewsletters!